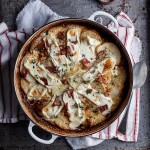 This potato bake flavoured with crispy bacon and melty brie cheese cooked in cream is an indulgent, delectable side dish you will make over and over again. A while ago I was browsing through one of my French cookbooks when a dish of soft, creamy potatoes drenched in oozy cheese caught my eye. Tartiflette. What a beautiful word. 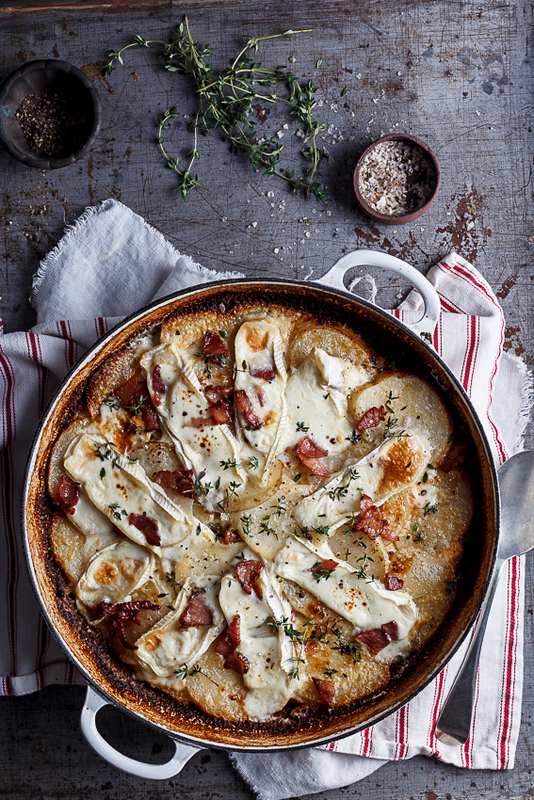 I am no stranger to tartiflette and have made a version of it for years but as it is very hard to find good Reblochon cheese in South Africa, I usually substitute with brie or camembert to give me a similar creaminess. But because I couldn’t find reblochon before I made this dish, I didn’t feel it right to call it Tartiflette because it’s technically not a tartiflette unless it contains a heft amount of soft, nutty reblochon. Let’s be honest though, there are few combinations as glorious as bacon and brie cheese (as is demonstrated by this awesome bacon & brie grilled cheese) and when you combine it with garlic, potatoes and cream, you are bound to have a winner on your hands. This recipe is beyond easy to knock together and after an hour in a hot oven, you have simple perfection. 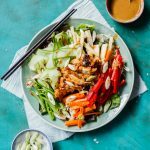 This makes a fabulous meal on its own with a zest green salad to cut the richness of the potatoes but also makes a great side dish to grilled/roasted meats. 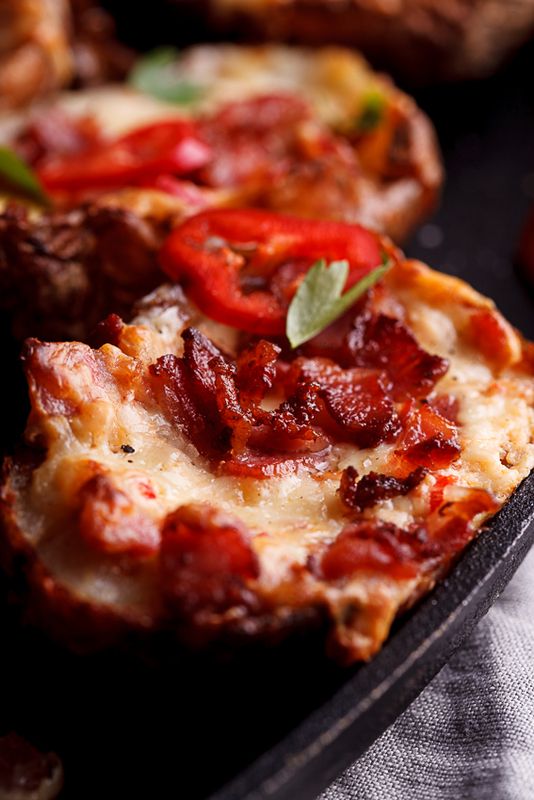 Place a large, oven-proof frying pan over high heat then fry the bacon until crisp and golden. Remove from the pan, leaving the rendered fat behind. Layer the potatoes, brie cheese (reserve a few slices for the topping), bacon and garlic in the pan, seasoning the layers as you go. Season the cream with salt and pepper then pour over the potatoes. Cover the potatoes with foil/a lid and place in the oven. 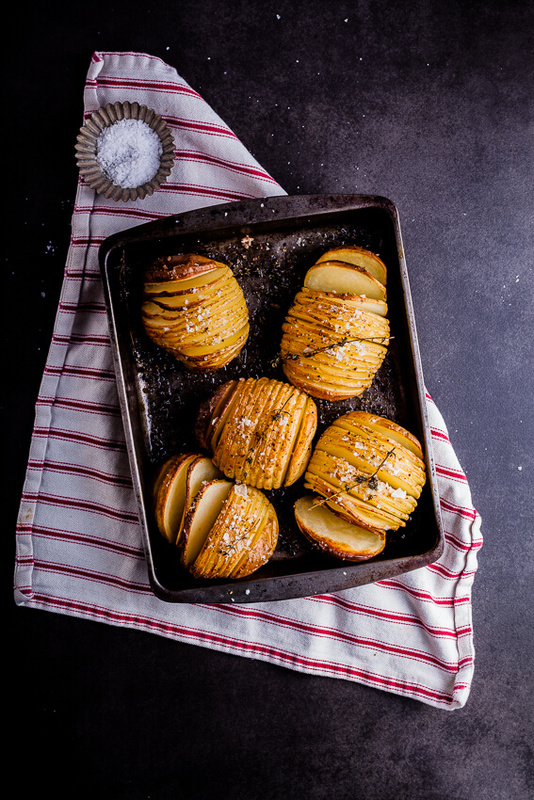 Allow to bake for 45 minutes or until the potatoes are soft. Top with the remaining brie cheese then place back in the oven and allow to bake until golden brown on top. This is in the oven right now, but I have a question… how big a pan did you use? The reason is ask is that I sliced the potatoes 1/8 inch thick and used a 10 inch cast iron skillet. The garlic, bacon and thyme were the perfect amount, but I have about 2/3 of the potatoes left over! I used a 32cm Le Creuset buffet casserole. It’s quite a deep pan so that might be why you have potatoes left over? Wow Alida! What an impressive dish! Sounds so rich and creamy! Thanks Mary Ann! That it is. Pure comfort food. I love brie any way I can get it and would eat it three meals a day. This is such a creative dish Alida! Love it. Thank you Karen! I myself am a Brie addict! Oh my! It is only breakfasttime, but I could indulge in this beauty right now! So stunning and delicious! You are so right about bacon and brie being a match made in heaven. I always hated brie growing up because of the smell, (and my dad, a french immigrant, would always try and get me to take a bite), and one I finally did, it changed my life! I saw this and got so excited! Definitely saving this one and trying it this week. 🙂 Thanks so much for the post. Ariel, Brie is such an absolute treat for me and I am always trying to get those who don’t like it converted. 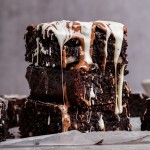 I hope you enjoy this recipe and please let me know what you thought of it! 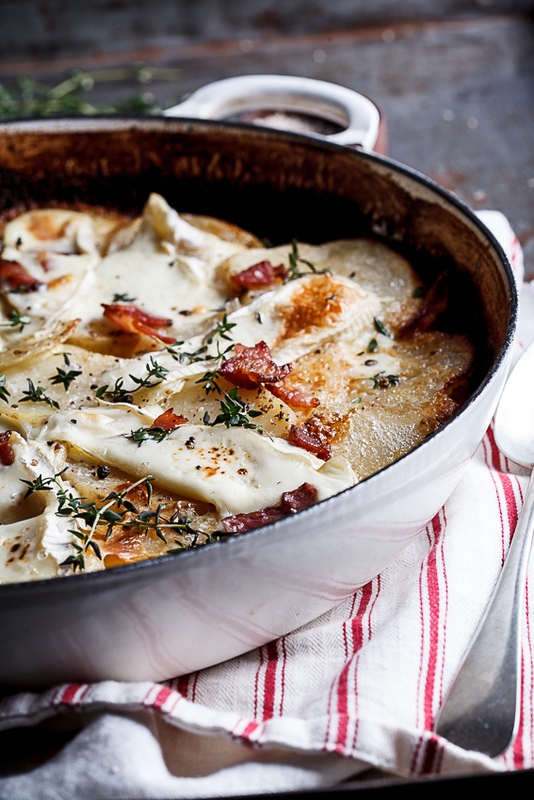 Can’t imagine anything I’d rather indulge in right now than this potato bake actually! I am just salivating here over the thought of all that warm cheesy and bacon deliciousness. This is so stunning! Love those gorgeously browned edges! Awesome job!